From 1930 to 1931, the University of Utah and the Smithsonian Institute’s Bureau of American Ethnology sponsored archaeological field work in the vicinity of the Great Salt Lake. Particular attention was paid to caves that had once been submerged by Lake Bonneville, a prehistoric lake that was some 1,000 feet above the level of the remnant Great Salt Lake. Previous studies had demonstrated that such caves, as the lake subsided, were soon inhabited by ancient peoples and the archaeological explorations were aimed at discovering ancient cultures that could be dated by reference to the chronology of the lake. The field work included thorough excavations of two large caves on the western shore of Promontory Point and one large cave on the southern shore of the Great Salt Lake, as well as reconnaissance of a number of smaller caves on Promontory Point and the northern shore of Bear River Bay. The work was led by Julian Steward, who prepared this report. 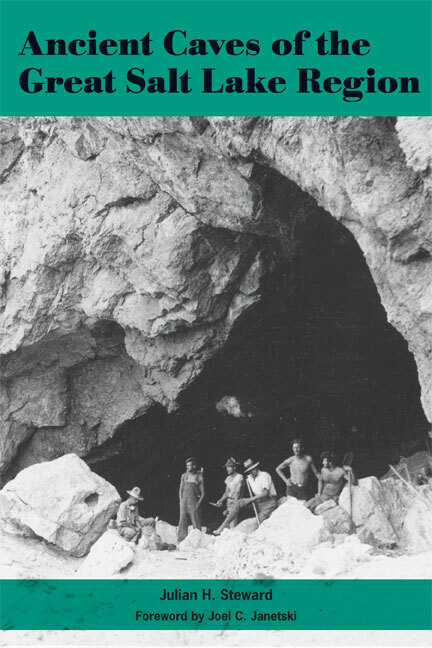 First published in 1937 by the Bureau of American Ethnology, this edition of Ancient Caves of the Great Salt Lake Region features a new foreword by Joel Janetski. Julian Steward (1902–1972) was director of the Institute of Social Anthropology at the Smithsonian Institute.